It is hard to believe that Samhain is next week when my garden is full of flowers that normally bloom in May or June. Several died back to ground level during the drought, put on growth in the rains of August, and the Campanulas started flowering again in September. 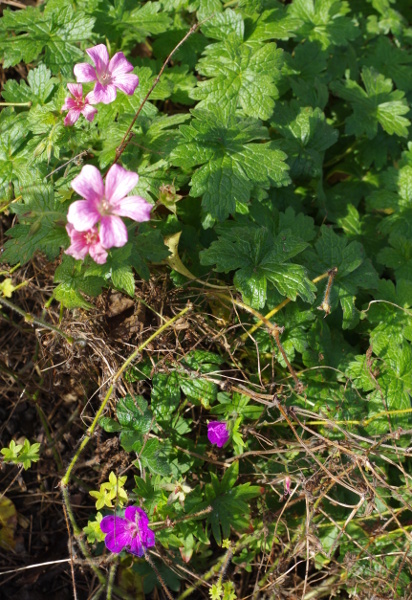 They were joined by a Leucanthemum, giant scabious, candytuft, sweet cicely, sweet rocket, and now even the geraniums which I thought I had lost are having a good go. Along with the usual autumn flowers of course! Unfortunately the recent warm spell also brought a new generation of pests, including many flies which get in my face while cycling and whiteflies which have invaded my kale. I am sending the lacewings out from sheltering in my bedroom windows (not a very sensible place for the winter, I open them too often) on the next warm day to have a feast. And one that flowered at the normal time, a Paeonia mlokoseiwitschii I grew from seed and now producing the first of the next generation. The flies seem to like this too. England is usually a damp country. I can expect it to rain at least once a week, very rarely do I even need to consider watering the plants outside. However, after a wet spring and snow in April, we had a dryish May and a totally dry June. July has so far managed one short shower, which showed little evidence in the empty water butts. I usually feel very connected to our weather, and help to balance it in my area. However, this summer has been something I haven’t experienced before. A completely stuck weather system, that has no interest in moving anywhere. The only messages I have received are that it would rather we took note of what we are doing to the Earth and how we use the resources available to us, and doesn’t want to change until we notice. This has raised many issues for me, both in terms of my connection to the weather and rainfall, and in how I use water myself. First the weather, I always remind myself that I only ask, and while most of the time my requests are answered, sometimes they are not for various reasons. The main reason I have noticed my requests having no effect is when the weather pattern is much greater than my little area. A lack of wind can be tricky as well, although this can be built into any request. But I also noticed early on how hard it is to be single minded in wanting to change the weather when everyone around me is just enjoying the long sunny summer days and clear blue skies, and when there are all sorts of practical reasons such as house building work that the sun is aiding. 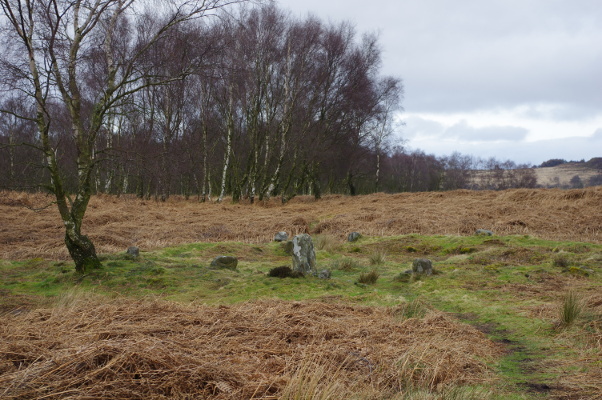 It is also hard to want wind when it would only fan the flames of the various moorland fires that are raging further north in Derbyshire and nearby. Meanwhile on the other side of the world there are floods, as you might expect to bring balance to the Earth. As time goes on however, I just pray for rain with no reservations – and try to enjoy whatever weather arrives here. The second aspect is my garden. I am aware that over the past few years, with having a pre-school child with me most of the time, I have had to simply let a lot go. This year I wanted to be much more proactive, sowing and re-sowing vegetable seeds, and watering the growing plants during dry periods. First I appreciated ‘indicator’ plants like those pansies mentioned earlier being fast to wilt and letting me know that water was required. I duly watered the vegetables and the strawberries, plus the few flowers in pots – one with pansies and one with pelargoniums. After a while I grew bored of watering every day and considered getting a sprinkler that would cover just the area of my vegetables, four small raised beds. Then there was talk of water shortages. Instead I stopped watering the fruit, leaving it to finish, and just water the vegetables three times a week. They are not exactly thriving, but they are still growing and producing courgettes and lettuces and peas with tomatoes, beans, brassicas and sweetcorn well on their way. But as each area comes to a finish, I shall cease watering and not plant anything else until the weather changes. What amazes me however, is how much I have learned about my garden by doing this, and some of the other small changes I have made recently. To thoroughly inspect crops every day or every other day has been a valuable experience to see how they are growing, what is ready for picking, and what pests arrive and need dealing with. As is doing my hip physio while I stand with the hosepipe! Fruit has been very early and small, yet the strawberries scarcely got eaten and the raspberries had a massive crop given there was no rain damage to the smaller fruit. Alpine strawberries are very small, yet are still going much longer than usual – so many tiny fruits I made a pot of jam from them. Flowers have few leaves and haven’t filled their usual spaces, but many are managing a great display, and there are a lot more seeds than usual. Even if they don’t all survive, I’m hoping I will be able to replace them from fresh stock – after all, plants die in hard winters, this is just a hard summer. There are far fewer weeds, although there is no way I can do weeding in our solid clay soil. The pond still has water in it and is going down slower than I might have anticipated – it may need some kind of a top-up soon although I am resisting for as long as possible and just watching to see how it does. All the sunshine is of course helping the waterlilies to their best display ever. Meanwhile our grass is about the greenest of any around which has really puzzled me. I can only put this down to more shade than in other gardens nearby, and a more suitable variety of grass since I deliberately went for ‘hardwearing’ rather than the more beautiful lawn options. And the clover is still green! Finally, an interesting ‘message’ I got this Spring about my front garden was that the gravel we had inherited in the area wasn’t doing it any good – too sterile, and too reflective of light and heat combined with the bare brick house. It faces due south, and gets very warm – or else I wouldn’t be able to grow sweetcorn there! So after much thought, I decided to leave any low growing ‘weeds’ in the gravel, and see how it developed from there. The main one is self-heal, with yarrow, pink geraniums, lavender, centranthus, sisyrinchiums and lots of early chionodoxa all having seeded themselves. Just the grass, dandelions, American willowherb and spurge I still try and weed out, when it isn’t baked too solid. Not only am I happier with it now, but so are the other plants. This is advice on how to meet Undines, from the book of the same name. However, over the last couple of weeks I have been inspired by these thoughts as a way to live life itself. Not just for an hour, or a day, but as a way of being. To sit in a wood and become part of the trees, the rocks, the blackbird singing just above me. To walk in a field where rabbits run and be a part of it. To watch a squirrel run along the top of a fence before I am still and he pauses to look back at me. To be part of the wind as it ripples across a field of barley. To be in a river, feeling the various currents underwater as flows and temperature changes. And just breathe. These are some of the things I have been doing recently. It seems so simple, yet I am aware of my heart expanding and a rightness in it as I become part of nature, being and not thinking, where the modern world around me becomes a strange illusion that is temporary. Cars come and go, even roads will revert to nature given a few years. 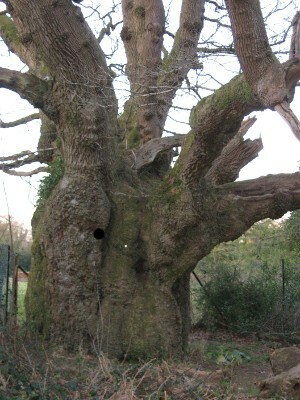 A mature tree planted in a garden feels as old as time. I often have trouble reconciling the ‘nature’ side of me with the modern, busy, polluting world around me. I am frequently over-thinking things, complicating, judging. I simply need to be fully alive to whatever happens, at any time, and then I am not depressed by it. It simply recedes out of my consciousness. And yet by being fully alive, I can also embrace the modern world and live in it. Keep my higher vibration without becoming ‘soul sick’. As I celebrate the Sun today, surrounding myself in beauty and light, may its shining rays stay within me. And may they inspire and uplift you too. May light fill your hearts and your lives as the sun returns, bringing inspiration and happiness. 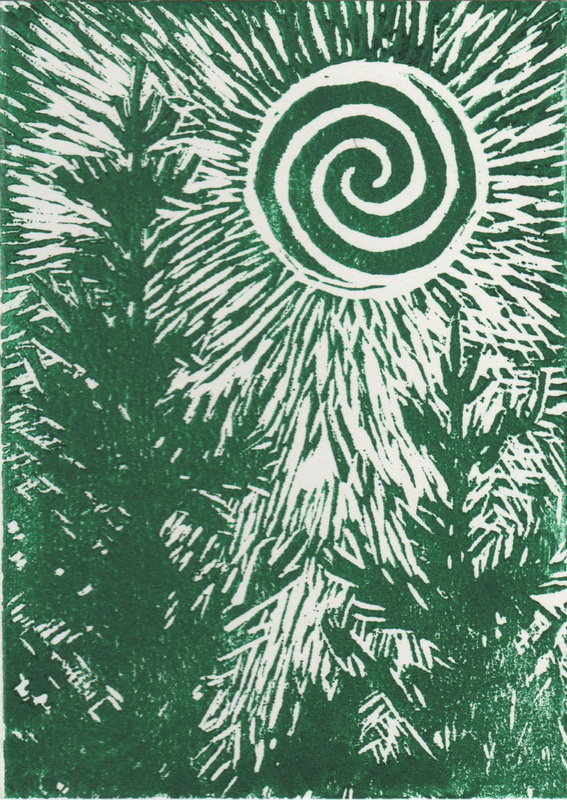 I have seen various images of winter trees in lino printing, all snowy white silhouetted against a dark sky. However I needed the sun in my sky, not the moon and stars, so after a lot of thought and several sketches, I came up with this design. This is a tree I see to the East every morning, growing in a garden a short distance away and now tall enough to show over the rooftops. It always intrigues me to look at things in mirror image when creating lino prints, so I took that idea further by drawing the tree the right way and its mirror – knowing that once printed I would still have the right way and the mirror. For once I drew straight onto the lino, knowing that any copying and image reversing was superfluous. Last summer I was able to acquire a small roller press, and this was its first use which was a joy. I can still improve my inking, but the ‘misty effect’ improved some of the images for me on this occasion. All a learning process which takes a long time when I seem to do only one a year! I enjoy the changing of the seasons, and with each season its special flowers. I have very few evergreen plants in my garden, even flowering types, because I find them stiff and dull for so much of the year – with never that promise of a fine show when it is their turn. Roses are great for flowering from June to November, but even they would be too familiar if they didn’t take a break from time to time between each flush of new flowers. However, there is one flower which the books don’t tell you about, which I am finding is testing my patience in the opposite direction: the waterlily. Until digging the pond last year, I had little experience of any water plants, and relied on best advice from the books I found. It has mostly been a wonderful journey of discovery and excitement, with a whole range of different shaped leaves and flowers and some interesting growth habits, and I enjoy discovering which wildlife can be found on which plants. Most have grown well, and flowered well, except for the waterlily. Last year it produced a few leaves and one flower bud, which as far as I could tell, sat sticking just out of the water for days and days, then fell over and died. 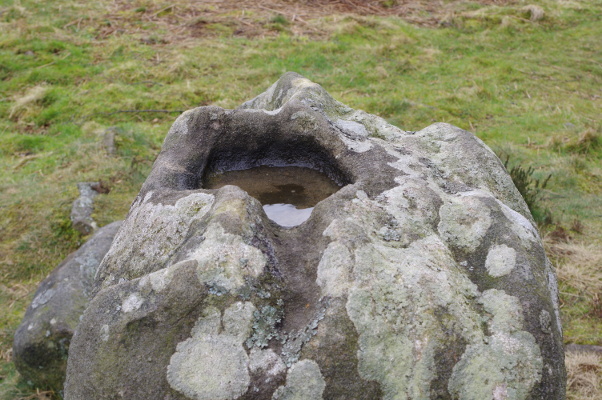 I was disappointed, but as a new water gardener, not too worried as I thought it just hadn’t established yet and the weather conditions were wrong and the balance in the pond hadn’t quite sorted itself out yet. After all, not all peony buds make flowers if the weather is wrong, but there are always enough giant blooms to give a good show for a few weeks. This year I have therefore been pleased to see a succession of buds come to the surface on my waterlily, approximately one a week. 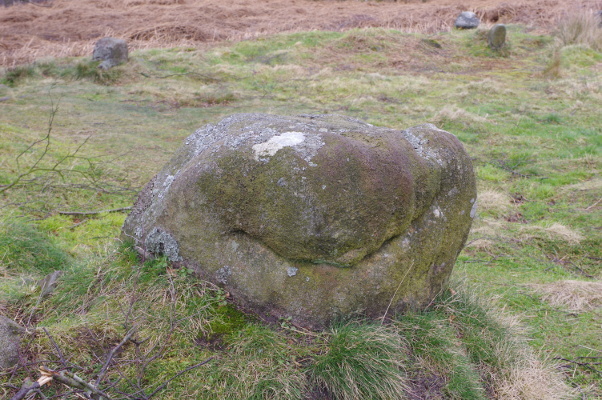 This is the fourth in the photograph. You will however see it is only half open. And there lies the problem. 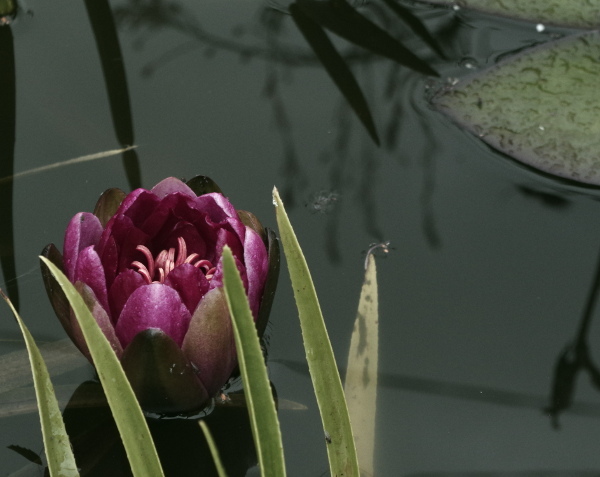 After spending well over a week as a bud, the waterlily finally decides it is time for the flower to open. If it is a warm sunny day, the flower opens up like the pictures in the book and looks beautiful. Truly stunning. I saw one. But if the weather is miserable and cloudy, or worse actually raining, then it half opens for two days, like this, before giving up and falling over sideways for a few days before disappearing back into the depths. I really wanted to take some pictures of a beautiful open flower; I didn’t realise that first one was going to be the only one to fully open! Luckily for my peace of mind, flower number five followed just a day later and did finally get three-quarters of the way open briefly this afternoon. Even more luckily I was here to photograph it at the right moment. Normally it is earlier or later in the day that I am outside, not 3pm on a week day. The waterlily is not, of course, the only flower to spend most of its life half-open, and only open fully when the sun is shining. Tulips do this all the time. 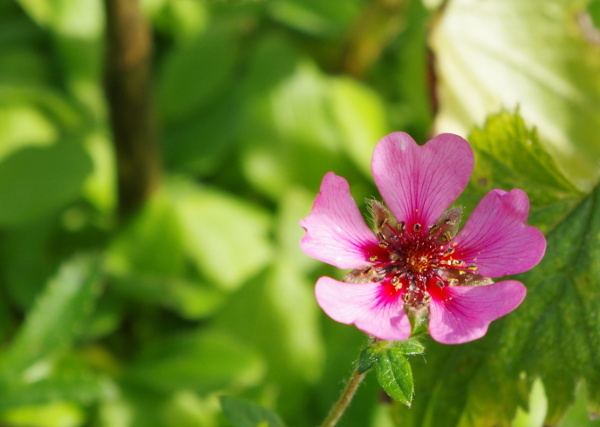 Some even look quite odd on a sunny day, with their petals wide; they were clearly bred for a Northern European climate. The little species tulips that grow naturally further south look great opened out, because the interest is on the inside of their petals, but most hybrids are bred to look good and be photographed half closed. But my fluted tulips often last 5 weeks for each flower, and even the fussy ones and the species last 2-3 weeks, with sometimes more than one flower per stem. Tulips would never have become a garden classic if they lasted a mere day or two! 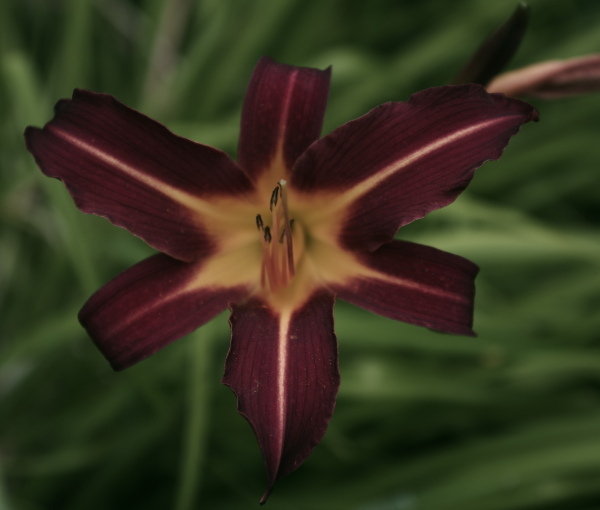 Daylilies (Hemerocallis) illustrate the other side of the picture – they do just last a day. But then they get out of the way so as not to spoil the show for tomorrow’s flower. My plants may be more leaf than flower, but there are always several flowers to be seen each day in the summer. In Lisa Beskow’s ‘The Flowers’ Festival‘ the Rose and the Waterlily are both queens of equal rank; all the other flowers are below them. 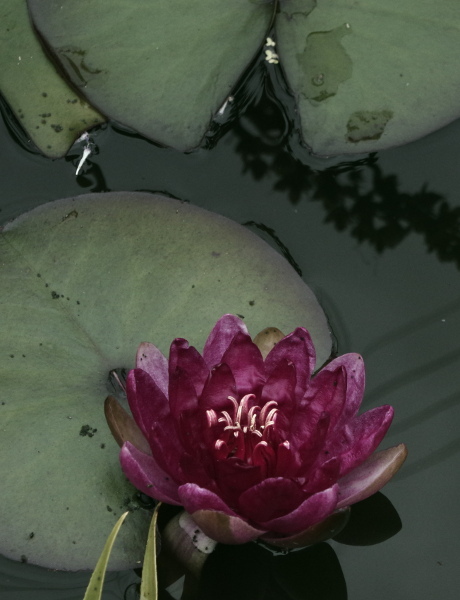 But while the rose presides over the festival, the waterlily is fussy and does not leave the water. Everyone else comes: other water flowers such as reeds, rushes, Miss Calla, Yellow Flag and the yellow water lily; even the hothouse flowers like the Miss Pelargoniums, Mrs Myrtle and the grand Lady Fuchsia, once their fears about cold have been allayed. Says it all really! I think I have a choice. I can enjoy the challenge of growing something so fussy, doing my best to contact its Deva and find out what it wants and then struggle to meet its needs in my windswept Derbyshire garden, or when I next rearrange plants in the pond, I can reconsider whether it is happy here. And yet I can’t help but feel disappointed. If it was something really rare, I would be proud of my occasional flowers. Instead it is like a Camellia plant I removed a year ago because every year it was full of promise, covered with buds, and then every year it got frost on it at some point so the flowers went brown and I would have to go round pulling them off because I hate the sight of a plant smothered in dead flowers. 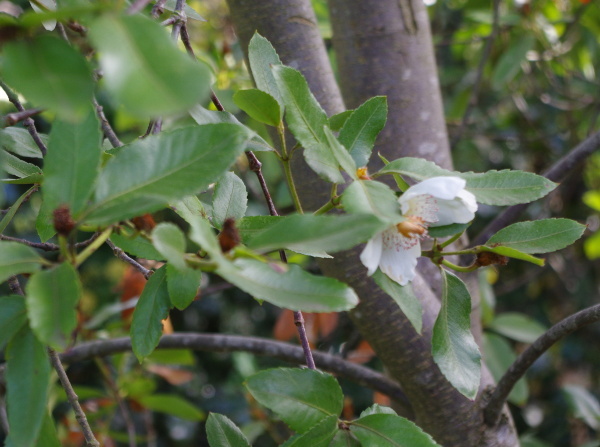 I replaced it with Camellia ‘Debbie’, which has been far more successful – the flower shape is slightly unusual with larger petals around the outside and smaller in the centre, so the centre never gets frosted because it is protected. And when each flower is finished it falls off by itself. Add to that it is a stunning rich pink. Meanwhile I planted another rose last month, completely the wrong time for rose planting, just because I found a gap in a flower border and it looked pretty. (I also had a voucher to use up at the garden centre near the school M has just left and it was my favourite of everything they had in stock.) I’m glad to say it seems very happy and has sent out new leaves. There is a patch of garden, next to the pond we created in Spring, that is going to be subject to quite a bit of earth moving. I didn’t want to fill it with perennial plants and shrubs that would establish themselves just at the point I needed to move them, nor did I want to leave it bare. So I decided to plant annuals there. Not all that I planted has thrived, and not all the seeds have turned into plants. 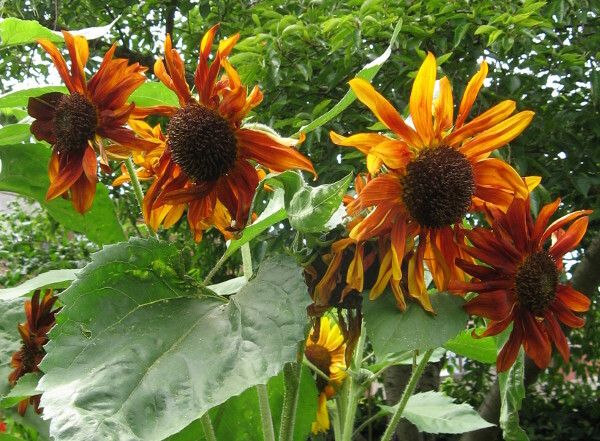 It is too shady, too dry, and too many plant predators were made homeless just before I created the bed – but there is one plant that has grown better than any previous attempts of mine: Sunflowers. Standing taller than almost anything around them, they haven’t needed staking or care and have produced several flowers each. As we approach the festival of Lughnasadh (or Lammas if you prefer), it is always this colour that is in my mind. The hot sun, the ripening barley in the fields, summer holidays. They bring smiles to my face, reaching for the sky, as they flower for weeks. They are strong, bending in the wind, yet flexible enough to follow the sun in its path every day. 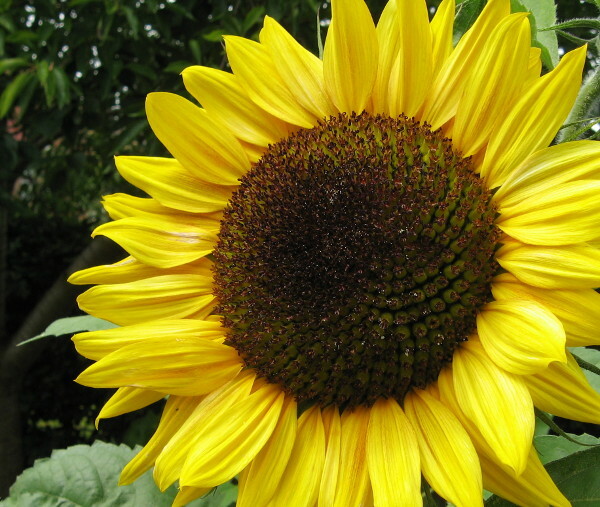 Several religious or spiritual groups around the world have used sunflowers as a symbol for both reaching for the light and being or bringing light. 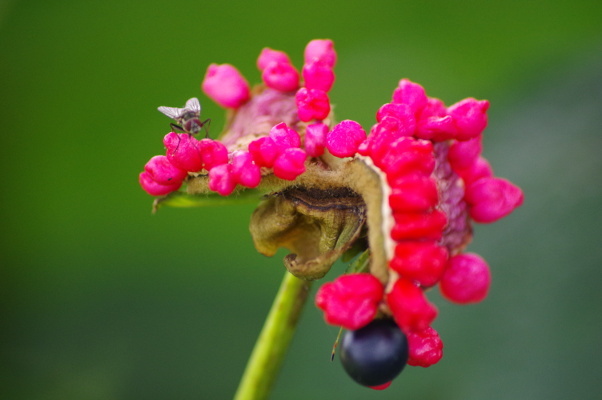 I will be leaving the flowerheads to ripen for the birds and look forward to seeing how long they last. Along with the teasels and the various tree berries (hawthorn, rowan) they should create a natural storecupboard for a few months to come. Apparently the Equinox, last Sunday, was the first day of Spring. This year with hawthorn coming into leaf in January, and daffodils even earlier, Spring seemed to come before winter. Then we finally had some snow, some frost, and nature seemed to sort itself back into the proper order of doing things. So now we can properly enjoy Spring – and the sunshine that filled the Equinox from start to finish. I spent the day outside, which included a walk in some woods where wild daffodils grow. Narcissus pseudonarcissus is not generally reported as being in Derbyshire – the Lake District, Yorkshire, Gloucestershire, and South Wales being its usual haunts, but there is a small area of woodland north of Derby, surrounding the remains of a castle (the stone was plundered for building Kedleston Hall), where it grows in abundance. Only around 6-7” high, they make small delicate clumps and do not make the sort of show that we think of from daffodils growing en masse; it is certainly not an unmissable haze of colour, like the bluebells will produce nearby in another month or so! But their delicacy makes them special, as does the fact they only fully open in warm sunshine. Daffodils are poisonous; they were used to induce vomiting, eating a tiny amount (if mistaken for onion) can kill, sap can cause dermatitis, and even regular handling of the bulbs with bare hands can cause similar problems. I have read that the Romans introduced them to Britain as they carried a bulb in their pocket to use as a suicide pill. However more recent research has revealed treatments for Alzheimer’s Disease, for Leukemia, and for Depression. It is said to be a flower of the dead and the underworld, after Persephone was distracted by daffodils and Hades abducted her. They are often planted on graves, and can be used for death and rebirth ceremony or magic. As a symbol of new life and regeneration the daffodil is remarkable for its ability to return each Spring no matter how hard the winter has been; it is one of the few bulbs that will thrive almost anywhere, on every council roundabout and roadside verge, unlike fussier types like tulips. Alternatively the ancient Greek may refer to the Asphodel – which would be an equally good choice in ceremony, but rather less good as a hardy garden survivor. Daffodils are, however, associated with Narcissus who pined and died for the love of his own reflection; its cup is said to be full of his tears. To some the daffodil therefore represents vanity and unrequited love. This ‘narcissism’ can be turned into a positive where more self-love is needed: its strong yellow colour and sunny attitude will help strengthen the solar plexus chakra which holds our sense of self and personal power, while the green stem and leaves link it to the heart chakra, that of love. 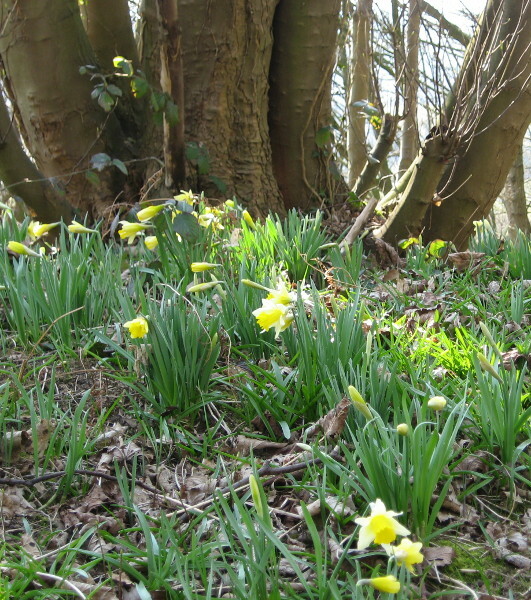 Wild daffodils like sunlight, and mostly they grow in fields, by hedgerows, or in coppiced woodland. 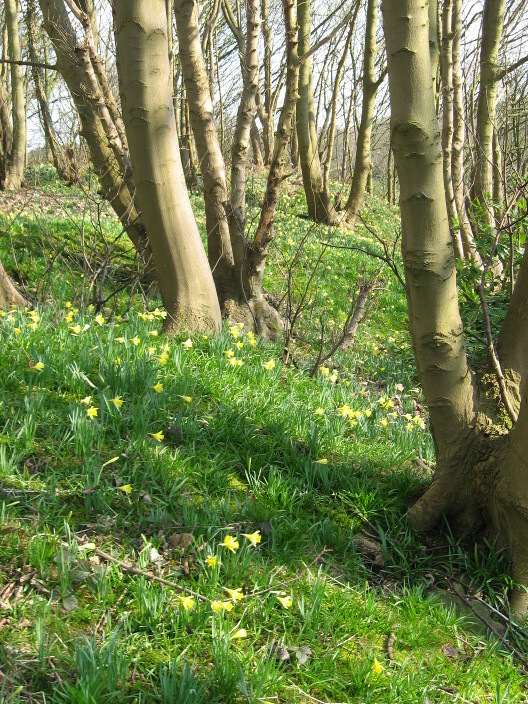 The woodland I know is mostly young, but the bulbs still grow in their greatest profusion on the south-facing slopes on the edge of the woodland. 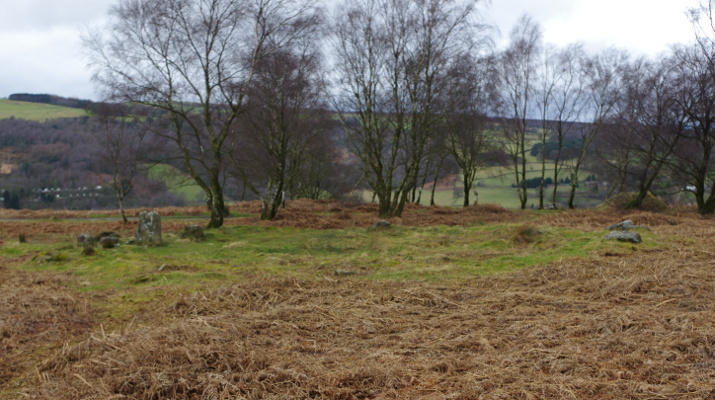 I will have to see how well they survive in the absence of further coppicing. Meanwhile they remain, for me, one of the surest signs of Spring. And that is just proteins. Huge numbers of trace minerals are missing from these crops, leached out of the soil that hasn’t been taken care of, and further unbalanced by using NPK fertilisers with many of the essential trace elements missing. The effects of waxing or preserving fruits for storage, then gassing to ripen them only adds to the chemical imbalance. And then I ate a grape. Just one, but before any other food instead of after as I normally do. It made me feel queasy. It gave me an instant headache, something I don’t suffer from. Sure the grape taste was in there, but what else? So I have realised I cannot carry on down the path I am on any longer. Ideally I would grow more fruit and veg, but my garden is small and the area given over to edibles is smaller still, not sufficient to grow everything we want. Neither am I a very successful vegetable grower, yet! But change has to start somewhere, and for me it is now. So I am writing down my intentions to grow better fruit and vegetables and to seek out organic and biodynamic locally grown alternatives, because what I write here has a good way of coming true. Greetings to all my readers. 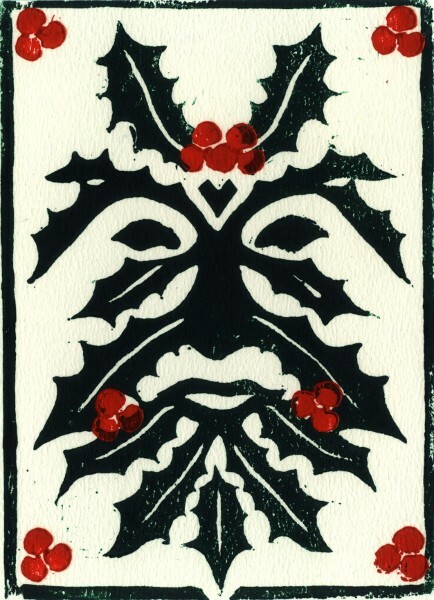 May this holly man bring you good cheer in these dark winter days, as we greet the return of the sun! Some consider the Holly King to be the ruler of winter, while the Oak King rules the summer – although the exact date when each is supposed to be killed and give way to the other seems to vary through almost every season of the year depending on the source used. In Roman times holly was used to honour Saturn, the God of Agriculture, celebrated at Saturnalia on 25th December. This has led to suggestions that the name Holly is related to Holy, and has a connection with the crown of thorns used at Easter in the Christian calendar. Since the holly man is often depicted in red with white beard an hair, and a sprig of holly tucked away somewhere, it has been suggested that he is a model for Santa Claus, via a connection with Odin. To me Holly is a plant of winter, the shiny leaves reflecting light, while red berries are the colour of a low sun in the sky. 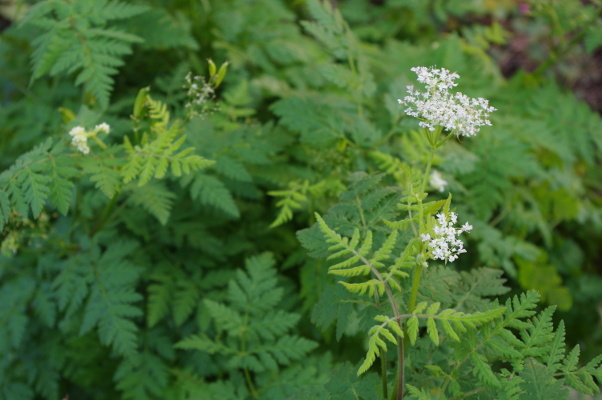 Both the leaves and the berries are eaten by animals and birds in winter, but not summer when other food sources are more plentiful. 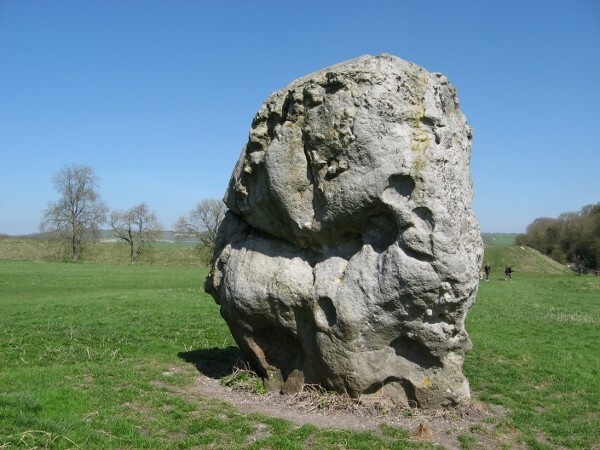 This weekend marks Ostara, the time of the Spring Equinox when all comes into balance for a very brief period before tipping over into Summer. Night and Day, cold and warm, closed and open, hibernating and active. 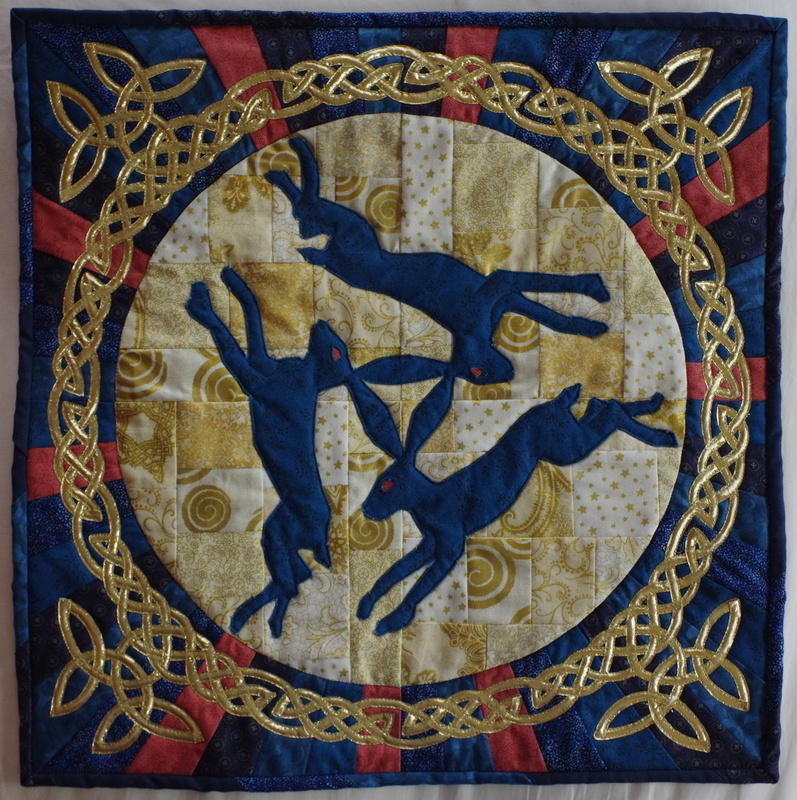 And of course the Ostara hare lays its cosmic eggs and fertility is everywhere. I often feel it as a pivotal moment between Winter and Spring – even though Spring might have started at Imbolc, with occasional glimpses earlier, now is the time when I can think about sewing seeds in the garden. However this year was totally different, with a solar eclipse on the same day. It was as if the Earth anticipated the event, with the birds falling silent before the Moon even moved in front of the Sun. First a small bite, as the Moon moved between us and the Sun, forcing the Sun to follow the Moon’s usual path. I watched as the Sun waned from its full state not to Gibbous but more like a cookie with a bite out of it. Then the more familiar crescent shape, which diminished to a very thin line. Then as the Moon continued to pass above the Sun the crescent became a hammock, then a smile. Beautiful. Finally as the Moon moved off, the Sun waxed to its normal full state again. An entire cycle of death and regrowth in under two hours. I watched first through a welding mask while the skies were clear, then as the clouds thickened, there was sufficient filtering to watch it through plain glass – which felt more special as I was no longer cut off from it. The clouds gradually became so dense as to be almost opaque so I was unable to see the final moments, but by then the power had been released. Normal life resumed, except that the day felt charged, brighter, less ordinary than before. And definitely less balanced! So instead of a gentle balancing and breathing out as energies begin their rising back out of the earth, I felt a tremendous burst of potential released as the Sun and Moon came into line and their individual powers combined to produce something greater than the sum of the parts. It was exciting, and I was full of plans for the day, the month, the year, the future. Ostara was celebrated on Saturday, when ‘normal service resumed’ and the birds were back at the feeder again. 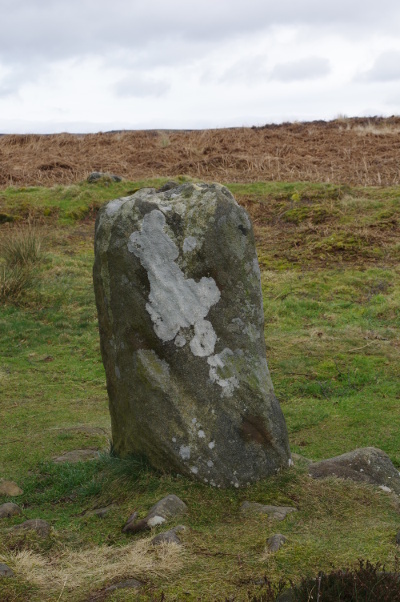 But for me, there was another difference – that may have been crystallised by the eclipse – which relates to a post I wrote four weeks ago on Finding the Excitement. Because the next day I was completely unable to lie in bed listening to the radio or reading a book while waiting for M to wake up and want her morning feed, before we both joined the day in our usual slow way. I have been a slow riser all my life … and existing on six hours sleep because M is hungry and wakes up every two or three hours means I generally take as long in the mornings as I can get away with. But since my previous post I have continued to approach each day with excitement and wonder about what it may hold. When I think how up until four years ago I was in and out of hospital, with no energy, drugs in my arms, unenthusiastic to get out of bed ever, I’m just amazed at how my life has turned around. And if I can do it, anyone can. One small step at a time.